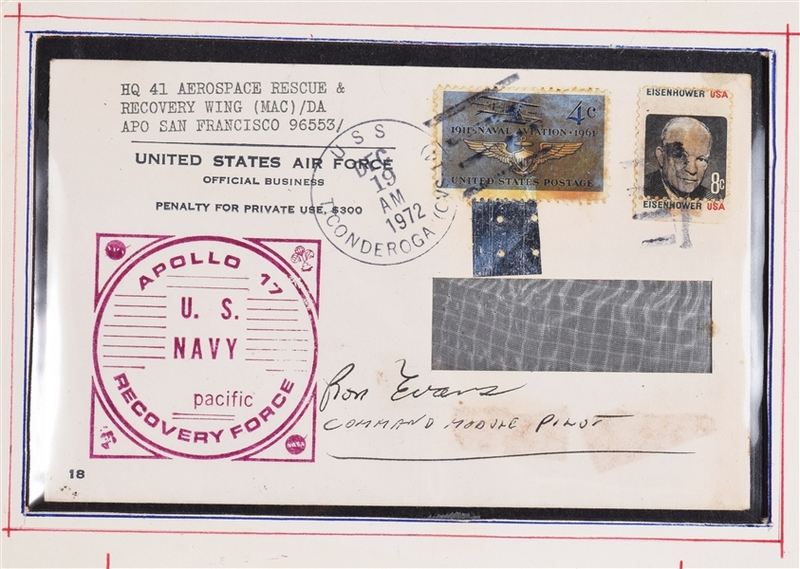 Ron Evans Signed Apollo 17 Rescue Envelope / with original Apollo 17 Reentry Parachute piece and kapton foil attached. The envelope is signed "Ronald Evans Command module pilot". The envelope has a window cut out where the original collector place a piece of Apollo 17 the re-entry parachute material in. 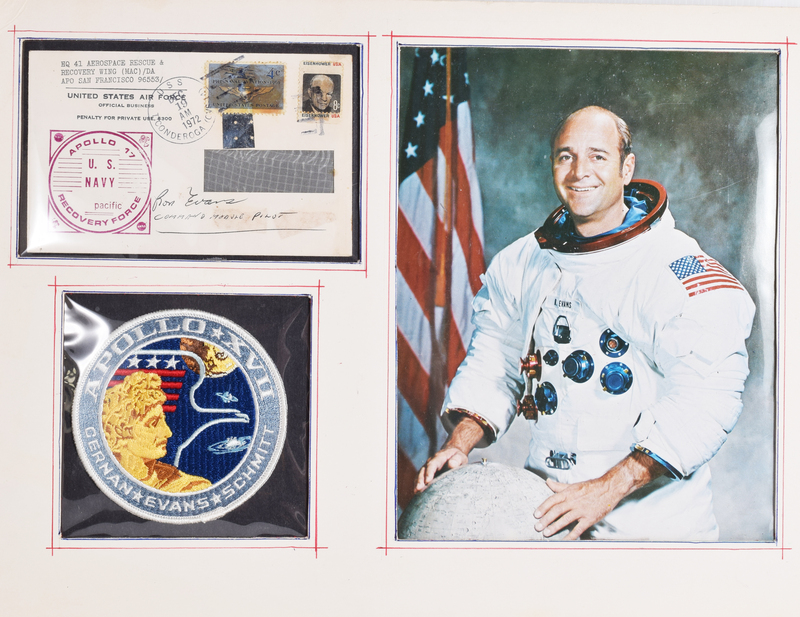 The collector worked for Rockwell and was active in the rescue missions and was able to collect various pieces of the the return parachutes and other related memorabilia for various missions. The envelope also has period photo and original period patch made by Lion Brothers Commercially. According to www.crewpatches.com. "The patch is Fully embroidered. Merrowed edge without 'tail' (selvedged). Scarcity:Scarce.The Lion Brothers patch is easily distinguished from the AB Emblem version by the wide outer border containing the text. It also has the number "17" embroidered on the shoulder of the Apollo figure as a hallmark."